WeAllSew Celebrates Our Loyal Fans: 68,000 Likes! We’ve just surpassed 68,000 likes on our BERNINA USA Facebook fan page! Our fans are “fan”-tastic! As a way to say “Thank You!” to all who join us at Facebook to share your love of sewing and creating, we are hosting another special giveaway. 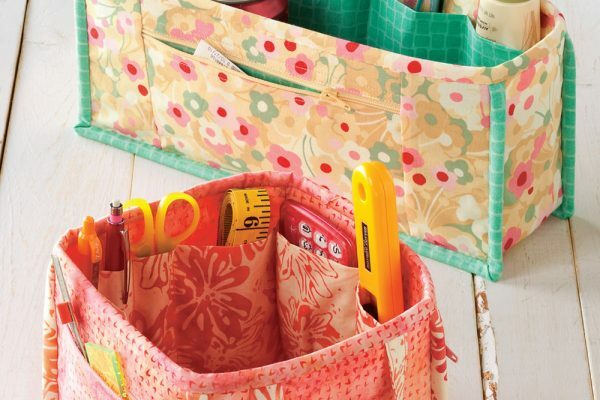 Did you set any sewing goals or projects to finish in 2013? How did you do in meeting your goals? Sweepstakes Rules: Open to residents of the 50 United States and the District of Columbia. One comment per fan. Comment must be submitted to the WeAllSew.com blog within 24 hours after blog post posting by December 18th, 12:00 midnight Central Time. Winner will be chosen randomly. Winner will be announced about one week after contest ends, and will have 48 hours to contact us at WeAllSew@berninausa.com to claim the prize. Keep checking back here starting next week! Congratulations to our contest winner, WeAllSew fan iceycat85! I set a large sewing goal for 2013. I decided to make 53 twin sized quilts for a non-profit organization that provides homes to orphan girls in Moldova. I haven’t completed all of the quilts yet but I have completely finished over half of them. I am hoping to complete the rest of the quilts by the end of January 2014 so that the girls can enjoy their new quilts. my new years resolution was to complete some UFOs. I did get some finished, however, there will ALWAYS be UFOs. I did set quite a few goals for sewing projects this year. I have completed 3/4 of my goals and still working on them. The year isn’t over until midnight on the 31st. My goal was to finish a quilt my granddaughter and I were making together. Success done, wrapped and under the tree. Yes, I had sewing goals and I’ve met them. Yay!! I did meet goals! I’ve been away from the sewing/quilting scene for awhile and am happy to say I’m back on track with projects underway, from wall hangings to a quilt. The goal was simply to get started and regain the enthusiasm that I had in years past that got trampled on a bit by busy times. It’s exciting! 2013 goals just about met. The last 2 must be finished by Christmas as they are gifts. I foresee several more hours of good times at the sewing machine to get them done on time. I had the goal of finishing a block of the month that I have been working on. My sewing machine broke and I haven’t been able to sew since before Thanksgiving. Yesterday I purchased a brand new Bernia 530. I will be sewing this weekend and I am so excited. Yes, I planned on making cloth diapers for my second child. I bought all the fabric and materials, I made a couple of diapers, but not as many as I planned. What a great prize, this would really help keep me organizes, and surely help me finish my project haha. I moved so many projects got put on hold although I was able to get 3 quilts completed in as many months. I did set some goals and met about half of them. The rest will roll over for next year. I always get so many new ideas and projects popping up all through the year, I never get “everything” finished. But when I do get them done, it’s usually because I have a very specific end date/time that I need to meet. Sometimes everything goes smoothly and it’s an absolute pleasure to have my project completed. And others seem to hit road blocks at every turn and by the time you’re done, you don’t want to look at it ever again. My favorite project from this year would have to be a new costume I made for myself. There were so many new skills I got to learn along the way and I was very proud with the end result. My sewing goal for 2013 was to move my sewing room to another house. It was difficult to pack everything up and I said I was never going to buy another piece of fabric-but I didn’t keep that promise. I am not unpacked so for 2014, I will finish this enormous task. I did not get the binding on 3 quilts that I wanted to finish. But I injured my knee, then broke my foot, and then my father passed away. I am cutting myself some slack! Thanks for the giveaway! My goal for 2013 was a small wall hanging for my front door for each month of the year. I finished just after Thanksgiving!! For 2014 I want a set of placemats for each season of the year, and a set for birthdays in our family. I really didn’t make any big sewing goals, but I did make a resolution to spend at least 2 hours a week on projects I loved and I met that goal this year for sure! I’ve done a lot of sewing for my alterations business, and while most of it was not exactly fun, it was nice to contribute a little to the household income! I set a goal to learn to free motion quilt my large quilts on my Bernina and I did. I quilted 4 large quilts, but my husband bought me a Gammill for our anniversary, so I can spend more time piecing with my Bernina now. I already like your Facebook page. Thanks for the chance to win. My goals for the end of the year were to complete Christmas gifts for some special people. I finished up last Saturday! My first goal for 2014 is to finish a quilt I started in a Bernina class in November. I didn’t set any goals, but I did get many items made and am happy about that. My goal for 2014 is to make more than I did this year. I had a lot of big plans… didn’t get most of them completed! Next year! I did not set any goals. I did set several project goals for 2013. But, life got in the way. I promised myself that 2014 is my year for sewing. I didn’t make any goals. It was a crazy military moving year for us, so I have been lucky to get any sewing time in. I am almost finished with one project, a baby quilt I’ve been working on with my daughter. It is the first quilt she’s ever made. Thanks for the opportunity to win a nice prize! My biggest goal was to step outside my box, new colors, new patterns, new techniques! And yes, my box is not quite a square any longer! One of my goals was to do things with the embroidery module on my sewing machinne. I have started to embroider, going from one color designs I made into cards to multi-color designs on pouches. And as the year ends I am trying out freestanding lace patterns of snowflakes (I live in Alaska). It is a lot of fun and I still have sooo much to learn. But I started, as I had as a goal. My goal was to clean up and organize my sewing room . . . well, I still have about 2 more weeks to complete said goal. My sewing goal for 2013 was to explore and learn and attempt to master several new aspects of my fall 2012 purchase of a Bernina 380 named “Bond” as in James and my Bernina 1300 mdc serger named “Money Penny” —- neeedless to say I have found that Bond got under my skin and needed all these lovely feet and accessories to use his full potential (.and 2014 will see me adding a few more). I’ve gotten the basics down with Money Penny but will need to practice a bit more before I am ready to pass along my expertise. I had hoped to complete a Judy Bishop Pavillion Coat before Christmas, however my new goal for that project is Sew Expo at Puyallup the end of February. I have completed panels with decorative stitches from James (B380) in bright colors of thread on a Black fabric. I still have a few panels to work on and the sleeves. I am still learning the mirror image feature and using the other memory features of my machine. I have started working my way through the 3 Volume Feetures Book set to see what all my lovely feet can help me create! I wanted to finish my daughter’s tee shirt quilt with machine quilting and….I did it! I decided to finish three “under construction” projects. I completely finished one – a Judy Niemeyer table runner – and I’m almost finished with a Claudia Dinnell embroidery wall hanging. The third, well you know how it goes. Hopefully, that will be a 2014 finished quilt!! No goals this year, since I just started sewing again. But, plenty for next year Excited to be sewing again! My goal was to get a design wall set up in my sewing room. It’s up, it’s wonderful and I don’t know how I lived without it. I met some goals: sewing more on my 830 LE so I learn more about the machine. But I still have one more Christmas present to finish. I keep putting it off since it involves sewing with “minkie-type fabric”. Just too much shredding! But I still have not gotten back to fitting and sewing clothes for myself. So that’s my goal for 2014.